This case was designed for New World Symphony to be an all in one workstation for their MA Lighting MAonPC and FaderWing. The case holds the two controllers in custom CNC cut plastic brackets that contours the shape of each unit and keep them securely mounted. The case is designed to hold 2 monitors mounted on a position control board allowing them to be tilted in any position within a 180 degree range. 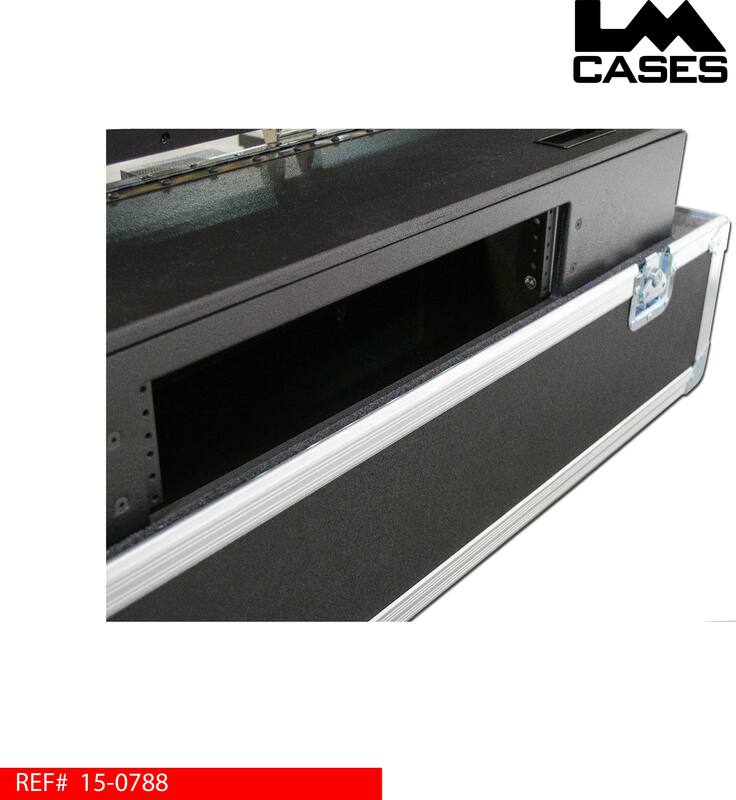 All wiring is enclosed in a custom doghouse that includes a 2RU patch section for an IO panel. 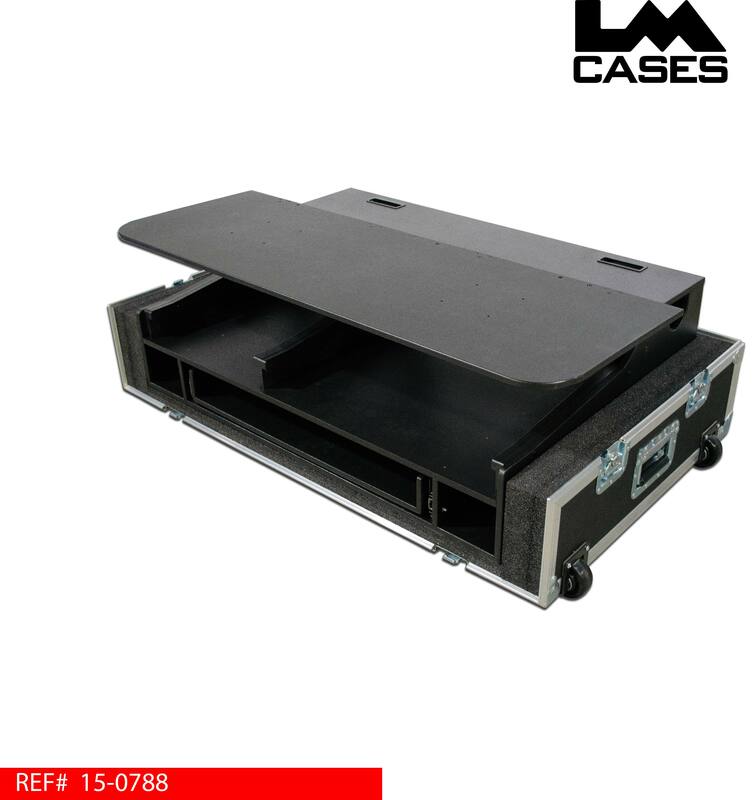 The case also includes a slide out tray for a keyboard. 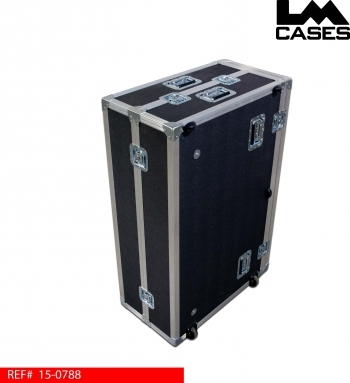 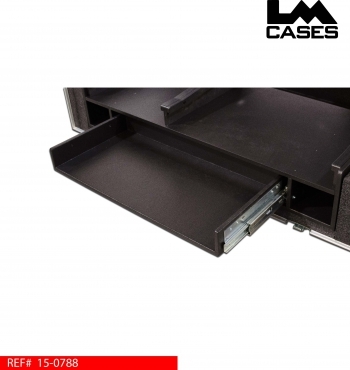 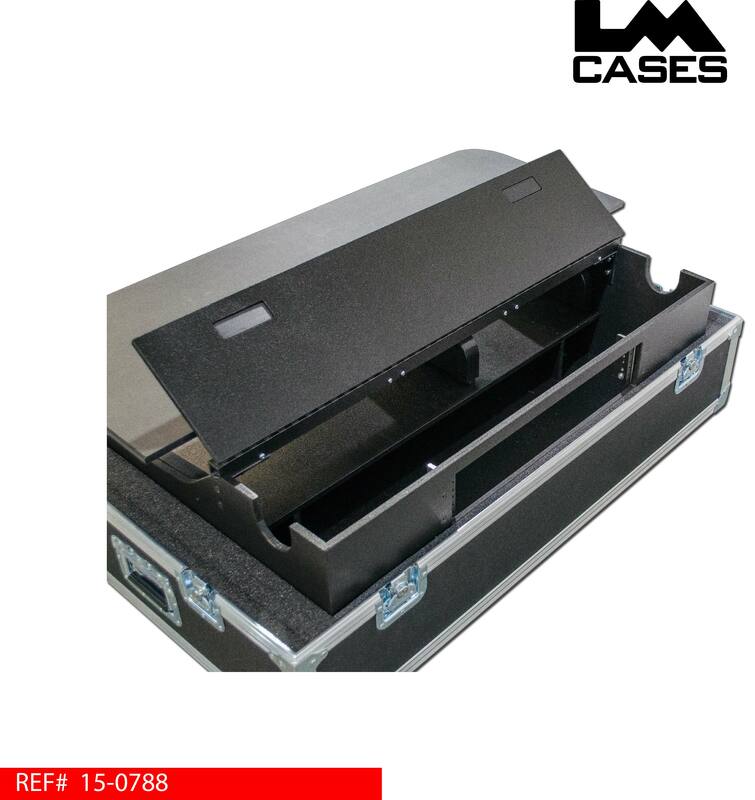 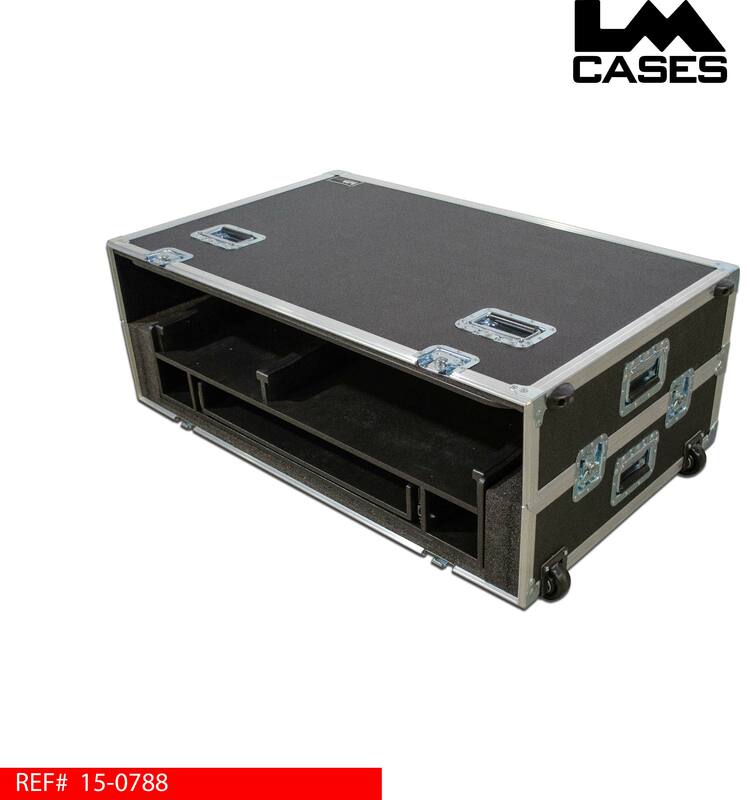 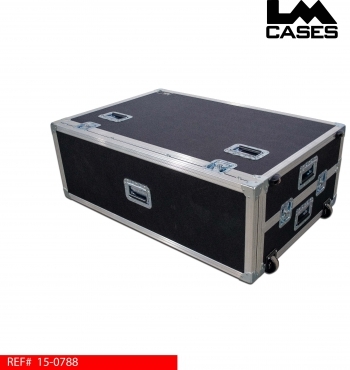 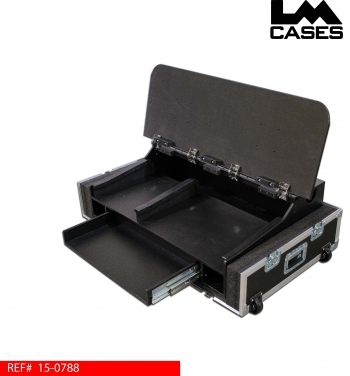 The case exterior is built out of 3/8" plywood laminated with black ABS plastic and features a removable top and front lid, the case also featured deep recessed handles and 3" in board dolly casters. 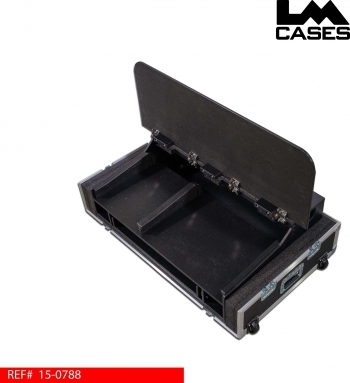 The casters feature custom back plates that allow them to be easily replaced in the field. 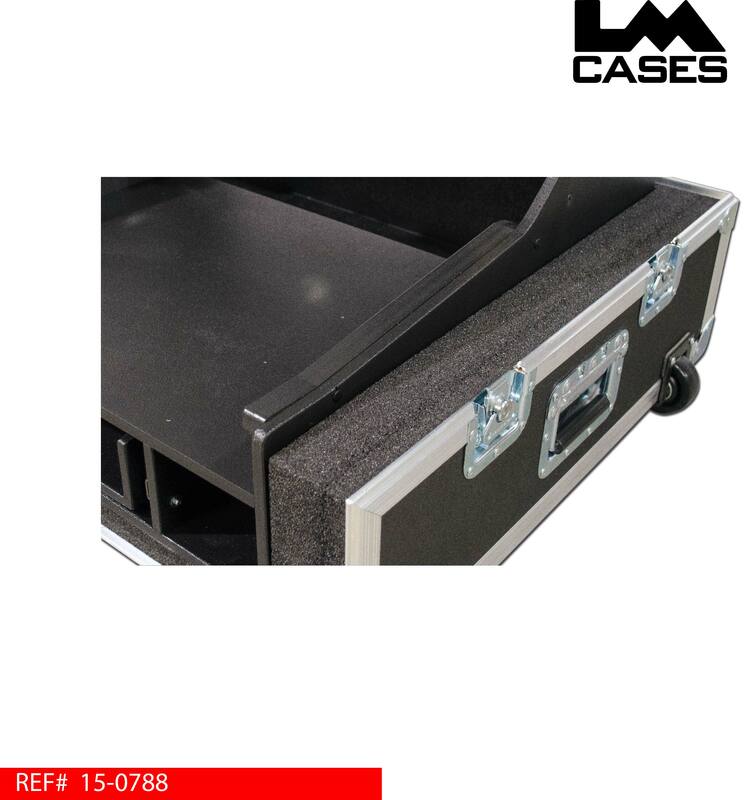 Special thanks to New World Symphony!